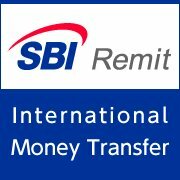 Remittance means Send money across miles with near once through SBI Singapore. Using it Customer can apply for Demand draft using the account with DBS, POSB, UOB and Citibank. It is Easy one time Registration also other feature and benefits are Internet banking with preferential rates, online remittance, 24x7 KIOSK and no any hidden charges. But this Facility can be used by all individuals who are Residents of Singapore. The bank provides e-Remit services from time to time. And Bank will tack care to ensure security or provide some services which help to unauthorized access. This responsibility is taken by the bank. Person cannot use or not permission to other used any illegal or improper purpose. They introduced some Proprietary rights that are Customers shall not make any changes underlying e-Remit. And which are required for accessing e-Remit are the legal of the respective Customer and vendor. Required documents to be submitted along with the application form, Permanent residents require Photocopy of NRIC, both sides and Non-Singaporeans required Photocopy of passport and Photocopy of Employment Pass / Work Permit / Dependant Pass and Document proof of address (i.e. utility bill, driving license etc. ), if not same as in Employment Pass / Work Permit / Dependant Pass. How to Register for SBI Online Remit? Go to any of your branches with the required documents and online registration and transaction also possible, first SBI Singapore Customers not required for registration, Use your Internet banking ID and Password, and for remittance amounts more than your INB limits otherwise visit of any three branches. Remittance through e-NETS the Maximum limit $25000 and DBS2SBI Remittance the maximum limit is$10000 for DBS and POSB customers only. The customer herby agrees to indemnify and save the bank harmless against all damages and losses and expenses. Global Remittances also make payments in more than 40 countries in 40 currencies with us. This services is convenience that is One-stop-shop services to send money in many currencies Also It is Efficiency in remit money in other foreign currencies also it is speedy that’s timely and efficiently transfer within 3 working days and it is a Cost Effective that is Competitive foreign exchange rates and low remittance fees. Before the remitting funds, please check with SBI for the full list of Currencies, Banks and Countries where you can remit via Global Remittance Service. Remittance to certain countries may take up to 3 working days. Where is Justin Bieber and How to Meet Him?